New brands seizing huge market share ... Legacy brands re-surging... Savvy internet marketers crushing social and search... How do you win a bigger piece of the pie? Someone who can step back from the day-to-day challenges in your market and help you think through strategically…. Imagine someone who gives you access to and assists in synthesizing what’s working for most of the best agents across the country. Showing you, step by step how to do it, so you don’t have to re-invent the wheel and you can cut years off that costly learning curve. Ultimately, someone who can help you break down the big ideas into actionable plans. You’re going to leave and know what to do first. 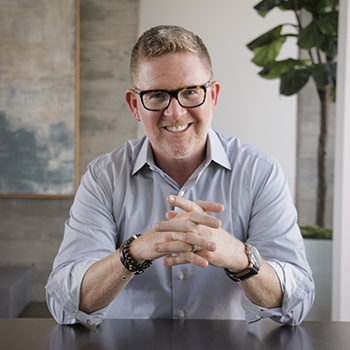 At Tom Ferry, we train and coach some of the best agents in our industry. Who are you working with to out-think the competition and execute on your plans? CEO of America’s number one ranked real estate coaching company, and I help ambitious real estate agents and brokers to scale their businesses and close more transactions. I do this through our Core+, Elite+, and MGMT+ private client initiatives that generate consistent and reliable leads, customers, and clients on demand. At Ferry International, our 170 business coaches complete 19,000 strategic sessions monthly. Our average client sells 33 properties annually. Top performers make more than 10x the national average. If you’ve ever felt lonely, unsupported, lacking clarity, confused or just wished you had someone to guide you in your business… …We should talk. New brands seizing huge market share... Legacy brands re-surging... Savvy internet marketers crushing social and search... How do you win a bigger piece of the pie?